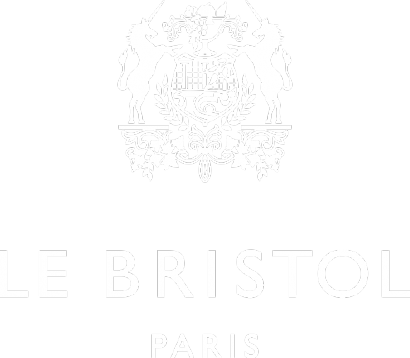 1925 – Official opening of Hotel Le Bristol, named after the Count of Bristol. 1979 – The hotel expands with the Residence, previously the convent of the “Petites Soeurs of the Bonne Esperance”. 2010 – A full renovation program (over 100 millions euros) was implemented for Le Bristol and its beautiful French garden. 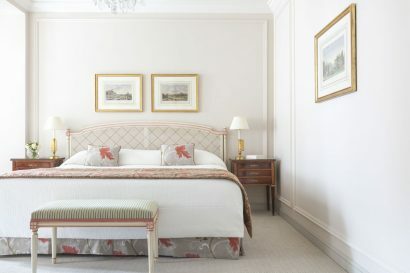 Le Bristol is the first hotel to be awarded the Palace distinction in May 2011. A leading luxury hotel in Paris and Leading Hotels of the World. The Bristol Palace is the reference for “French Art de vivre”, the Parisian feel, yet providing our clients with an “At home“ atmosphere. Natural daylight throughout the property, convey an impression of brightness everywhere. Ideal for families, with a lot of connecting options and private apartments. Views on the Paris skyline, Eiffel Tower, the inside French garden and an in house parking. 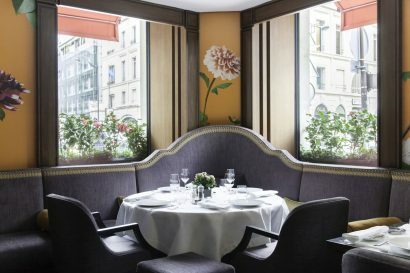 Le Bristol offers the best parisian gastronomic experience you could wish with 4 Michelin stars under its roof: 3 at the gourmet restaurant Epicure and 1 at the luxury brasserie 114 Faubourg both supervised by Chef Eric Frechon.  A family friendly hotel with guaranteed connecting rooms at time of booking, an extensive welcome program for children. Upon arrival, children are offered their very own Hippolyte plush toy, a garden rabbit and the hotel’s mascot. 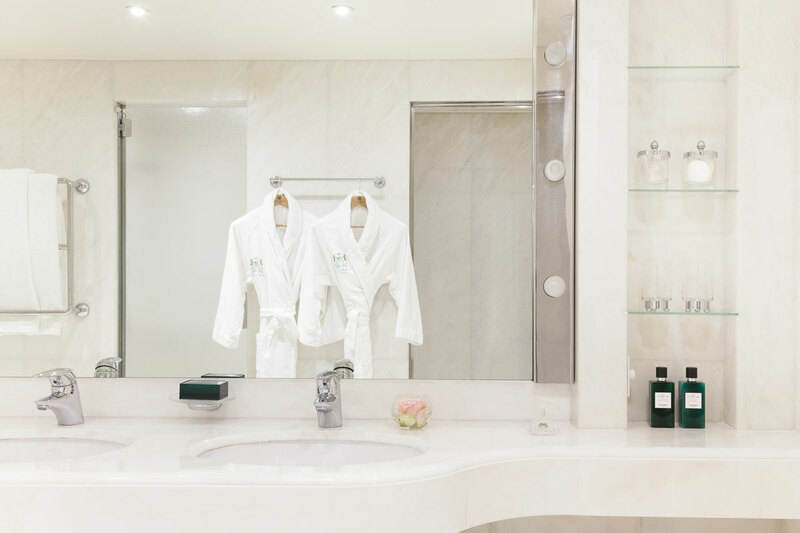 They also receive welcome packets, which include playful activities throughout their stays, suggestions for fun-filled, educational walking tours around Paris, activities while at the hotel and… a treasure hunt. Located on Paris fashionable Rue du Faubourg Saint-Honoré, it is at walking distance from the Elysée Presidential Palace, the Place de la Concorde. 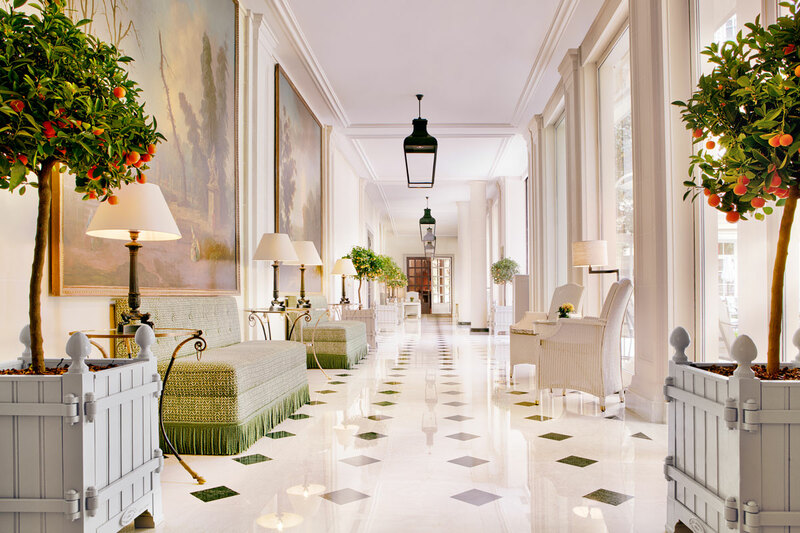 Next door to art galleries, exclusive antique shops and haute-couture boutiques. 10 minutes from the enchanting Tuileries Gardens, the banks of the Seine, the Louvre Museum, Musée d’Orsay, and Opéra Garnier. 15 minutes from the financial district and la Défense. 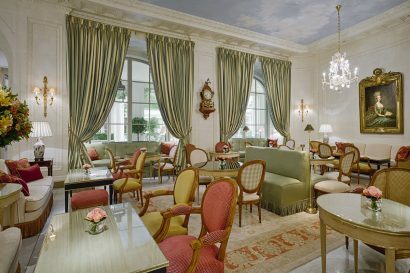 Le Bristol Paris has welcomed in 2010 a new resident, “Fa-raon”, born on May 24th 2010. An adorable sacred Burma kitten, Fa-raon of the ocean blue eyes, strolls majestically around, lounges in the lobby, wanders through the grass of the French gardens, and purrs with regal delight when petted by guests or children. The latest and most playful Parisian Kids Club is Le Bristol Paris x Bonpoint. 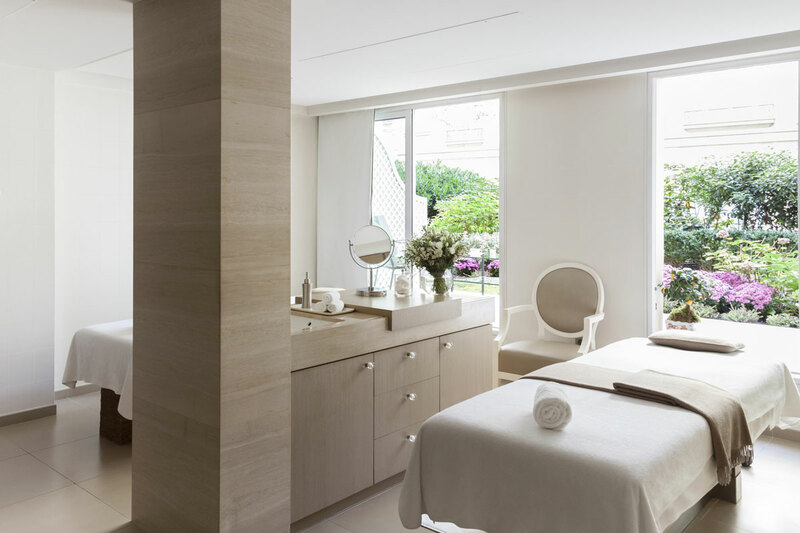 The club is adjoined to Spa Le Bristol by La Prairie, and has been transformed by the two brands’ shared delight in childhood; the sweetness, freedom, infinite inspiration and its authenticity. The stylish play area has Indian tipis for a secret hideaway, huge floral patterned cushions, chalkboard walls, electric car tracks, dolls houses, books and a menagerie of stuffed animals. Everything is ready to welcome the most chic nonsense in the capital. 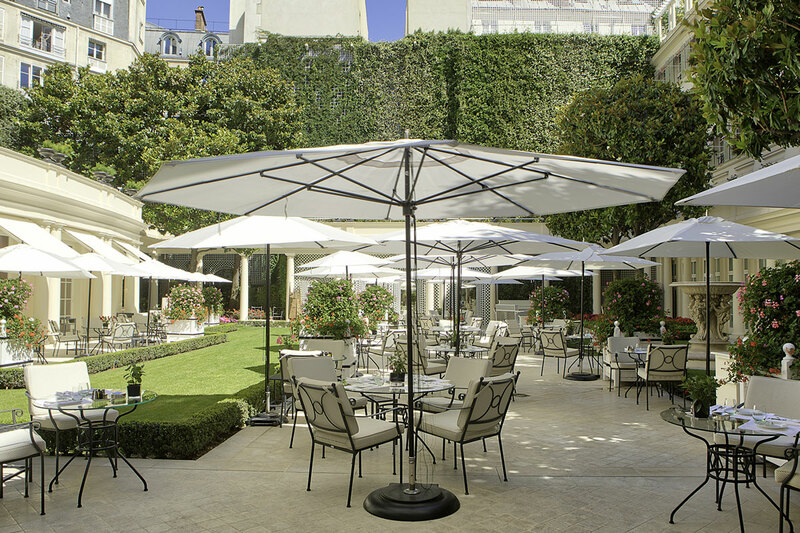 13,000 square feet of French manicured garden, a peacefully verdant and relaxing environment in the heart of Paris. 90 rooms and 100 suites with spectacular terraces and balconies give our clients a large choice in terms of accommodation. 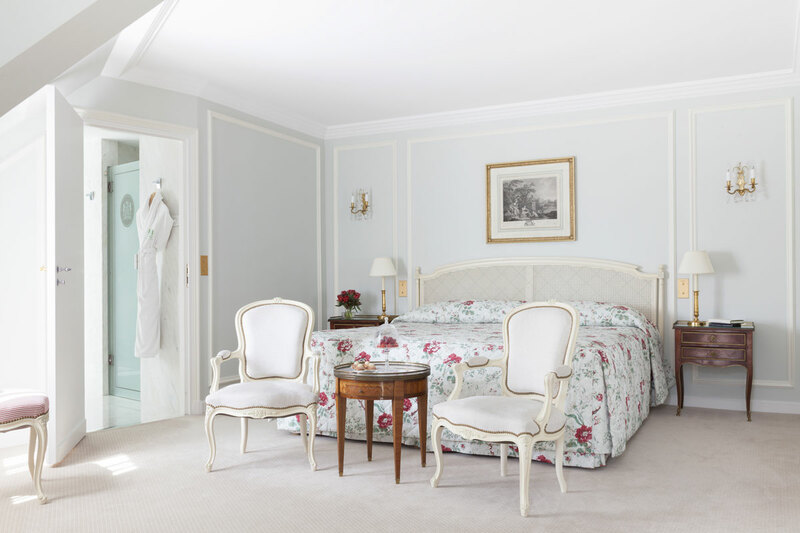 Each room and suite is decorated with Louis XV and Louis XVI furniture, rare wood paneling, fine European fabrics, objet-d’art, mirrors, paintings, etchings… for the most demanding clients in terms of décor and elegance. Superior Room • Deluxe Room • Deluxe Rooms Garden View • Prestige Room. 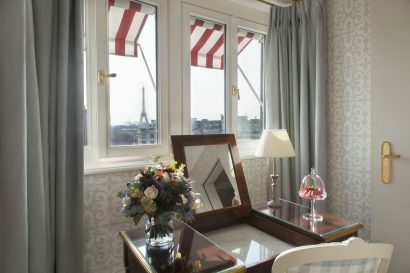 All with views on the oval flowered courtyard, the hotel gardens or the Paris skyline. Junior Suites • Junior Suites Garden View • Deluxe Junior Suite • Prestige Junior Suite • Saint-Honoré Suite • Deluxe Suites • Prestige Elysée Suites. All with views on the hotel gardens, the oval flowered courtyard or the Paris skyline. • 1 Imperial Suite (2852 sq. ft.), with private hammam and fully equipped kitchen. All bathrooms in rooms and suites are spacious, made in Carrara marble, with 2 sinks and separate showers and baths. 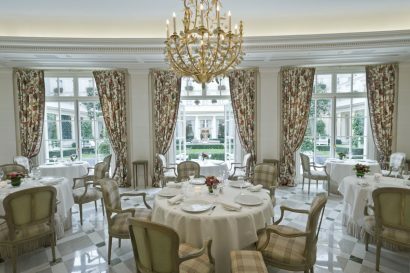 • Epicure – Awarded 3 Michelin stars in 2009. • 114 Faubourg – Awarded a first Michelin star in 2013. Headed by Chef Loïc Dantec, offers creative and authentic cuisine in an original less formal decor. 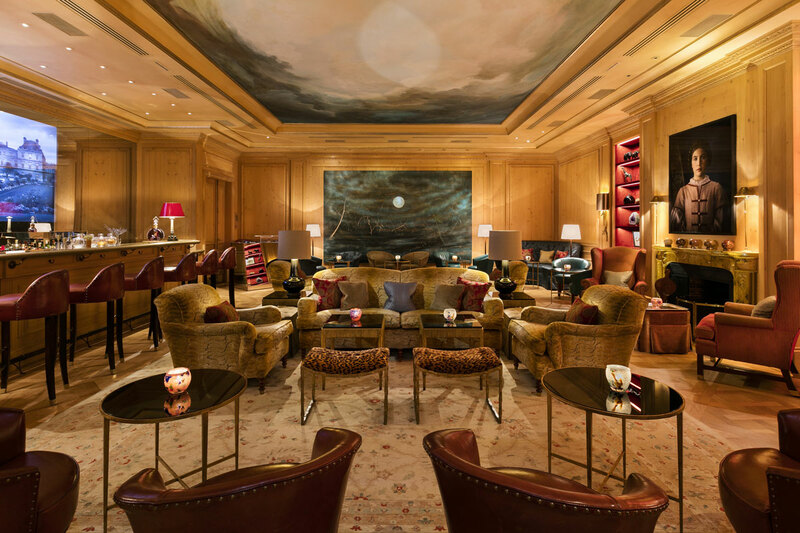 • Le Bar du Bristol – Le Bar du Bristol is the trendy place to be seen in Paris on evenings. • Spa Le Bristol by La Prairie – A haven of wellness with a wide range of luxurious and exclusive face and body treatments. • Hands and feet treatments. • Open daily 9:00 am – 9:00 pm. • Fitness Center, steam room. • Exclusive access to hotel guests daily 6:30 am – 10:30 pm. • For meetings, conferences, dinners, cocktails or any other event, a total of 8450 sq.ft. 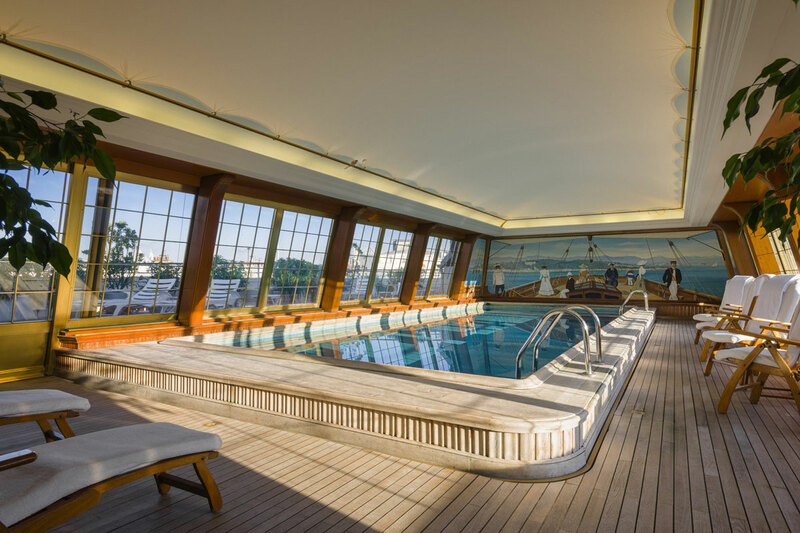 with state-of-the-art amenities. • 6 air-conditioned modular meeting rooms with natural daylight, 4 of which overlook the garden. • Several telephone lines and high-speed Internet in each meeting room. • Video conference, simultaneous translation and audio equipment. • Theatre style 15-200 people. U Style 12-24 people. Classroom style 12-100 people. Banquet style 18-200 people. Banquet style 10-150 people. Cocktail style 20-300 people. • Use of suites for private functions. • Menus created by Chef Eric Frechon. 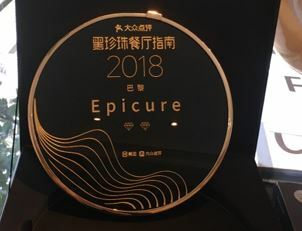 20 mars 2018 – Paris, distinguée « destination la plus populaire au monde » du classement des Traveller’s Choice Awards 2018 de TripAdvisor. Dianping.com: It is currently China’s largest food and restaurant social platform. Meituan.com is the largest hotel reservation platform that has emerged in China in the last two years. This year, the number of nights reserved for their hotels is comparable to that of Ctrip.com.